There's a first time for everything in life, right? Adele was a first-time nominee at the 2016 BET Awards. The powerhouse vocalist, who is continuing to promote her gazillion-selling 25 album, garnered a surprise nom for Best Female R&B/Pop Artist. But Adele at the 2016 BET Awards didn't happen, unfortunately. She did not attend the ceremony in L.A. I admit that I was super bummed, since I was looking forward to seeing the singer on the red carpet. Adele instinctively knows what looks good on her and how to play up those gorgeous curves. She often opts for anything-but-basic black on red carpets and at major Hollywood events, like her long-sleeved, floor-sweeping gown at the 2016 Grammys. The singer did switch things up and go with a sparkly pattern at the 2016 BRIT Awards, BTW. Still, I was anticipating a fresh take on her beloved "LBD," with the "L" in this case being "long." So, why did Adele miss the 2016 BETs? Well, she had other commitments! 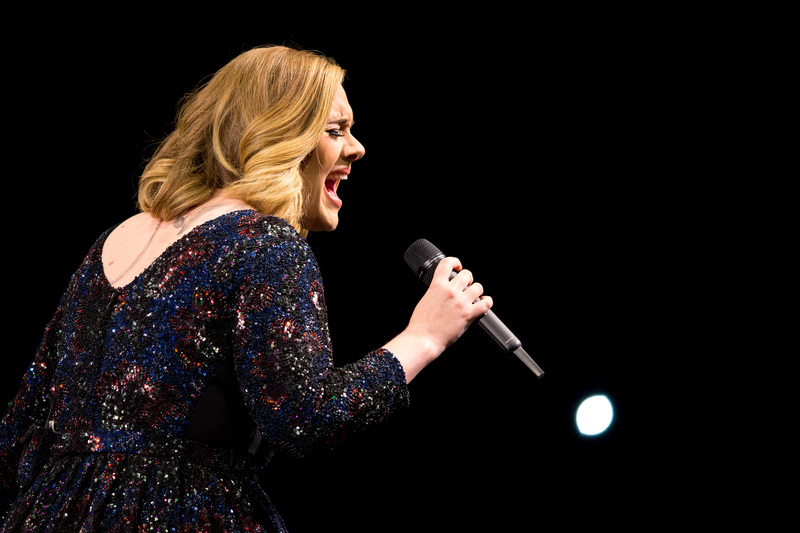 Adele was delivering a "can't miss" set at the annual Glastonbury Festival in the UK this weekend. She seemingly couldn’t skip across the pond in time to make the BETs. While she was a no-show, she was certainly missed. It would have been awesome to see Adele at the 2016 BETs, though! It seems to be a matter of logistics, unfortunately. Perhaps next year?